If you’re due to undergo any operation, be it cosmetic, dental or medical, before the operation goes ahead, you will be required to sign a form giving your consent to the operation. The main purpose of giving your consent is so that your doctors can do their job properly – but for the consent to be valid, it must be informed. That means that you must be informed of the risks and benefits of the operation so that you have all of the information that you need in order to give your consent to the operation. Contrary to what you might think, the doctor does not have to tell you about every single possible risk, including the very small risks and the very unusual risks. They do, however, have to tell you about fairly common risks and unusual risks that could be serious if they occur. If appropriate, you should also be informed if there are alternative treatments to the procedure that you’re undergoing, along with the benefits and risks of each – especially if they are looking to get your consent for the higher risk procedure. It’s also important for your doctor to look at your medical history and that of your family, so that they know whether you are more likely to be at risk of certain complications during the procedure and so that they can inform you of those potential risks. If your doctor fails to tell you about a certain risk involved in your operation that you should have been advised about, that means that they failed to obtain full informed consent, meaning that your doctor breached their duty of care towards you. Also, when you give informed consent, you are not consenting to negligent actions. For example, if your doctor explained that there was a risk of bleeding, you gave your informed consent and then your doctor caused a bleed by nicking an artery during the operation, it means that they are still liable as the bleed was caused by their negligence, rather than as a side effect that you were made aware of. If a complication arises during surgery or after, and you were not advised of that specific complication, that does not automatically mean that you can make a claim. Informed consent is part of it – and your doctor may well have failed in his duty of care towards you by failing to inform you of the risk – but to successfully make a claim, you must prove that you would not have undergone the operation had you been advised about the risk before the procedure. Successful claimants could, for example, have refused surgery on a previous occasion due to being informed of the risks. If patients can prove that had they been told about the possible complication, however small, they would have refused the operation and gone away to weigh up the benefits against the possible risks before agreeing to the operation, they will be much more likely to be successful when making a claim. 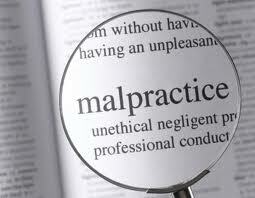 Informed consent is a tricky area of medical negligence. For more information about informed consent and how it could affect a possible claim, speak to Axiclaim UK, who specialise in medical negligence claims.